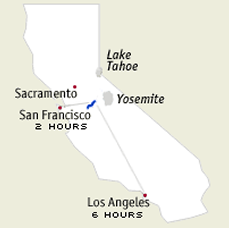 AO Blog > California Rivers: Flows, News, Events > Goodwin Canyon > Join AO for the Goodwin Canyon “Double Days” Weekend! 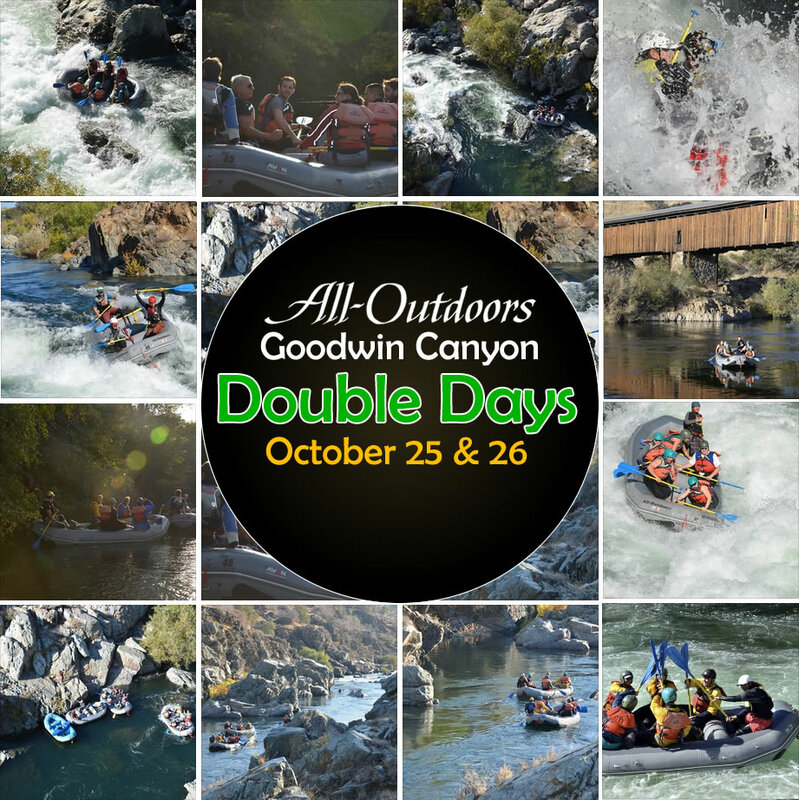 Join AO for the Goodwin Canyon “Double Days” Weekend! Now Taking Reservations for Goodwin Canyon “Double Days”! We are now accepting reservations for this special event, so if you’ve been waiting for this announcement please contact us now to save your spot. You can call us during our fall office hours (10am to 4pm, Mon-Fri) at (800) 247-2387, email us at rivers@aorafting.com or start a Live Chat. What is Goodwin Goodwin Canyon “Double Days”? This is a very special annual series of rafting trips that occurs every fall on the Goodwin Canyon section of the Stanislaus River. Special water releases allow us to run these trips in October, and we make the most of the opportunity by running the four miles of river twice in one day (hence the name: Double Days)! Not in California. Not only does the weather often cooperate in the early months of fall (some call it the “Indian Summer”), but releases from upstream reservoirs that are used to generate power are released on a schedule that also allows us to provide recreational boating opportunities to the public. Even in this drought year, we are expecting to run weekend trips all the way to the end of October on the South Fork of the American River. In the case of Goodwin Canyon, this is an extra special occasion: every fall, the main Stanislaus River is visited by thousands of migrating Chinook Salmon. When the Salmon Run occurs, additional water is usually released to help these fish find their way upstream to their spawning grounds. Not only does this water allow us to see the canyon and ride the rapids, but while we are rafting downstream, we may even catch a glimpse of the Salmon making their way back upstream to spawn. There is a slight chance that the projected flows for this event will need to be shifted to a different weekend. Since we depend on the graces of the powers that be to make this trip happen, we don’t have the ability to guarantee this trip will happen as projected. Flows on Goodwin Canyon are subject to a wide range of variables, including timing with the fall Salmon run. We wouldn’t go to the trouble of scheduling these trips if we didn’t believe it would happen, but there is always that possibility that your trip may need to be canceled. We will notify you as soon as we get final word, and in the event the water is not released you will receive a complete refund of trip fees. Not many people even know that it exists. This is a well hidden secret canyon on the lower Stanislaus River; if you’ve ever made the drive past Oakdale on Highway 120 on the way to Yosemite National Park, you probably didn’t even notice it was there. But tucked away from sight among the golden rolling foothills is a steep-walled lush volcanic slot canyon featuring fun Class III rapids and two Class IV rapids, all within a short drive from your front doorstep. Contact us during our fall office hours (10am to 4pm, Mon-Fri) at (800) 247-2387, email us at rivers@aorafting.com or start a Live Chat.